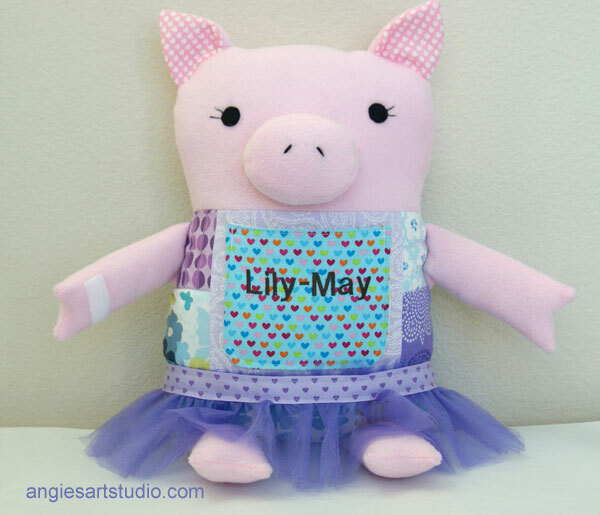 My lovely customer, Larissa, who previously had a special request for a pirate dog, asked me if I could custom make another plush toy, but this time for her daughter’s upcoming birthday. 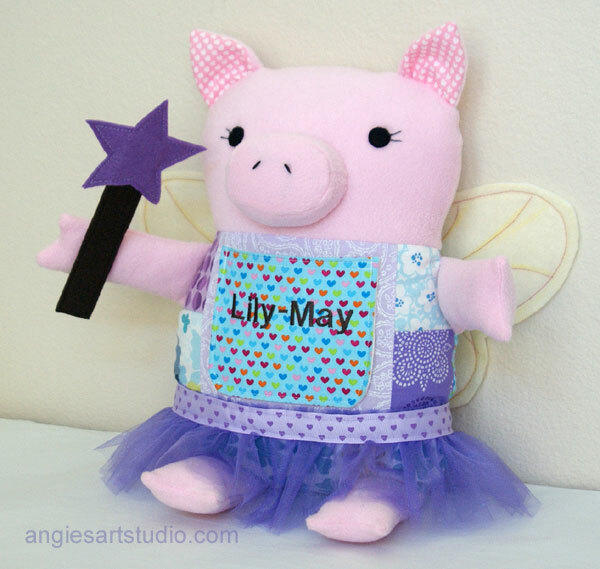 Larissa came up with the idea of a Fairy Pig as her daughter’s favorite animal at the moment is a pig and she also loves to dress up as a fairy. What a great idea! 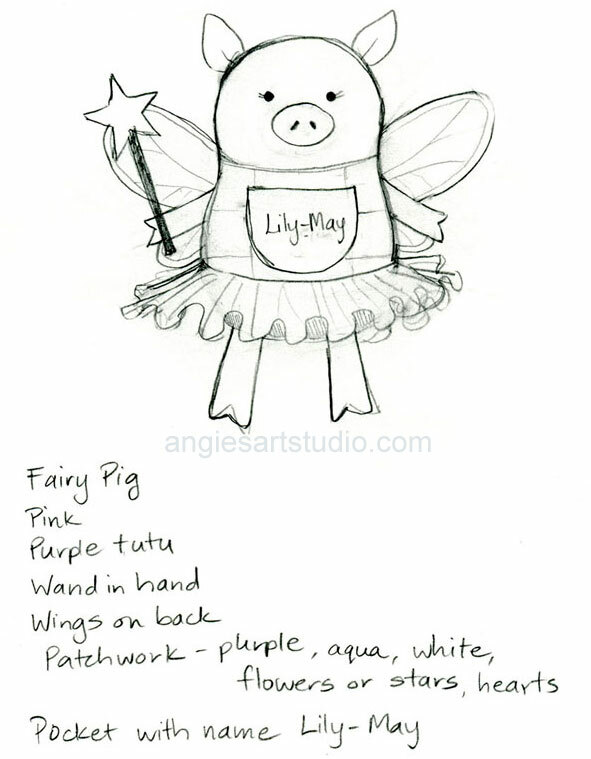 I sketched up a little drawing of what I thought a fairy pig would look like and listed all of the requirements: pink pig, purple tutu, a wand in her hand and wings on her back, patchwork in purples, aqua, white, flowers, or stars, hearts, the name “Lily-May” on a front pocket, and then put together the fabrics I was going to use. 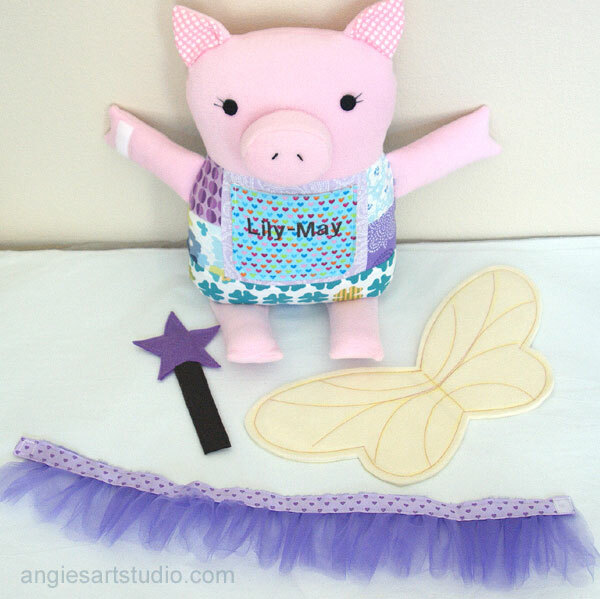 Larissa is a dream to work with because every time I suggest something to her or send her updates she is always so positive and complimentary :) My idea was also to make the fairy pig’s tutu, wand and wings detachable by using velcro, that way her daughter can have the option of snuggling up with her fairy pig, unencumbered by wings and accessories. 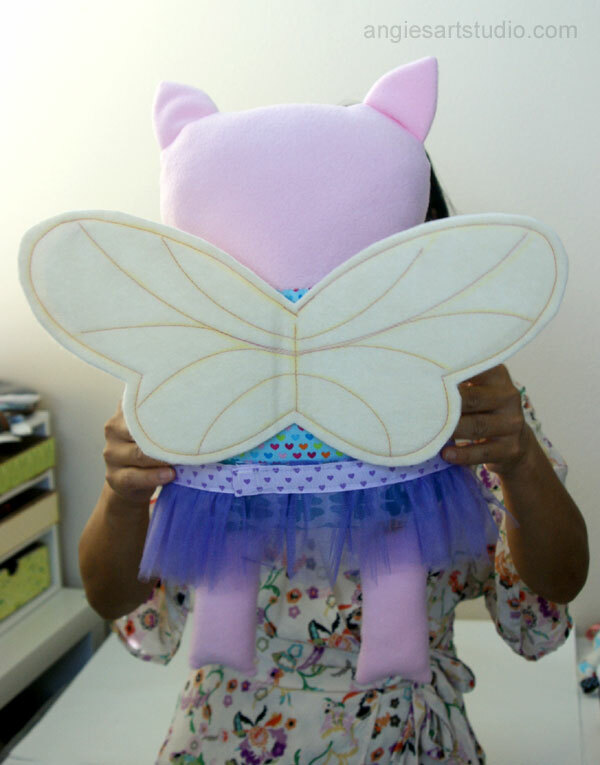 Fairy pig in the process of being pieced together. Thankfully I din’t feel rushed when making it so had time to think through every part of the process – less room for making mistakes and having to do something over again. 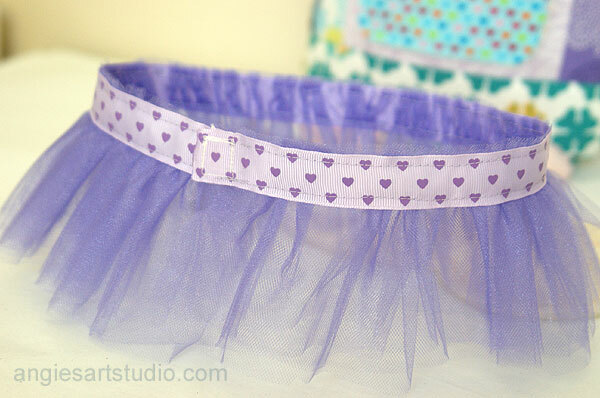 Her little purple tutu. 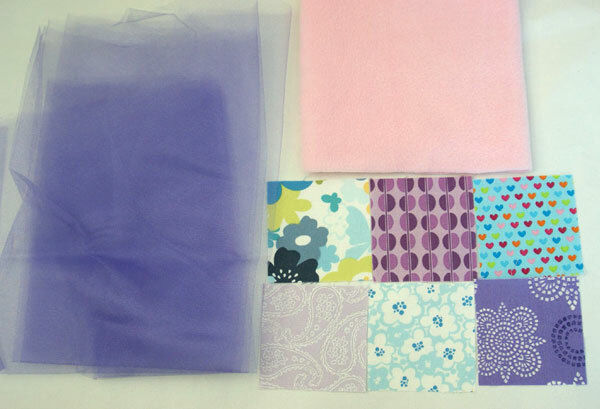 It is 5 layers of tulle gathered together and then ribbon sewn on top with a velcro closure. I found that the more uneven the layers of tulle were, the better it looked. She now has arms! I actually sewed the snout on after stuffing the main body. 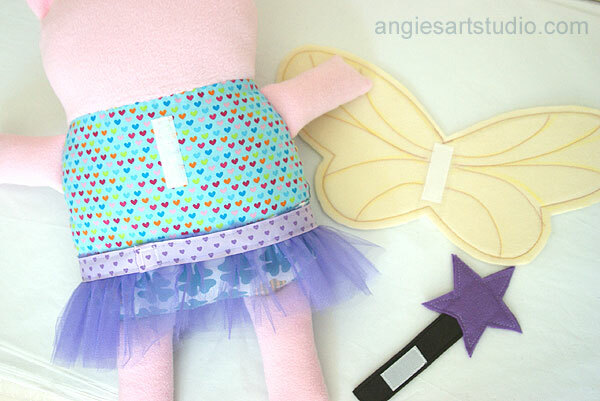 Wings and wand complete, she’s ready to put her magical powers to use! Back view. 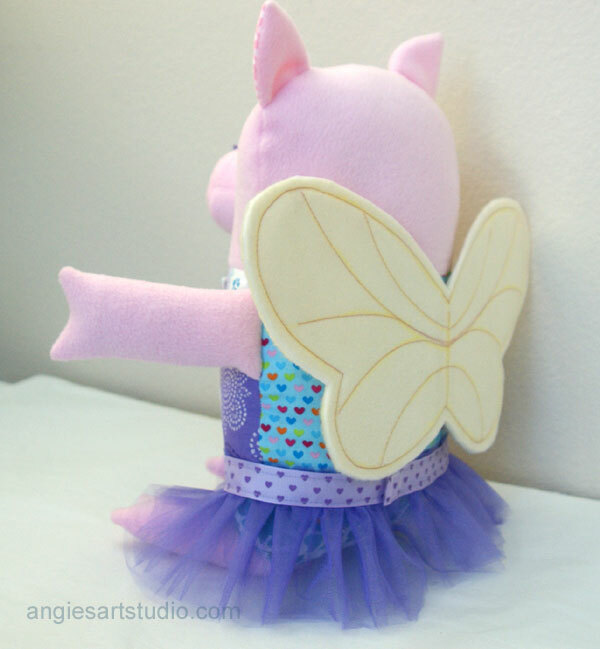 The wings are made from two layers of ivory felt with a layer of heavyweight double-sided fusible stiff interfacing in the middle to give the wings structure. 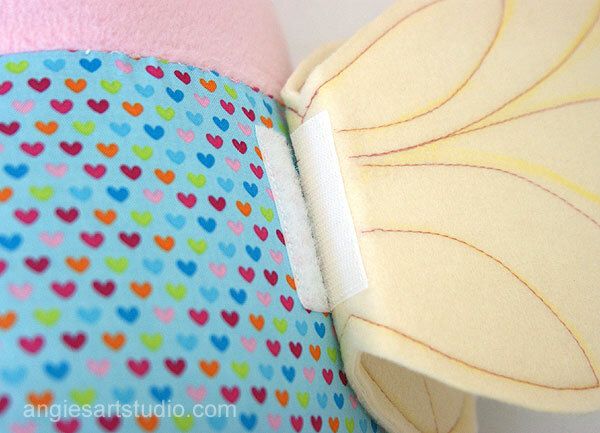 There is a gap in the middle of the wings which doesn’t have the stiff interfacing so that the wings can flap. 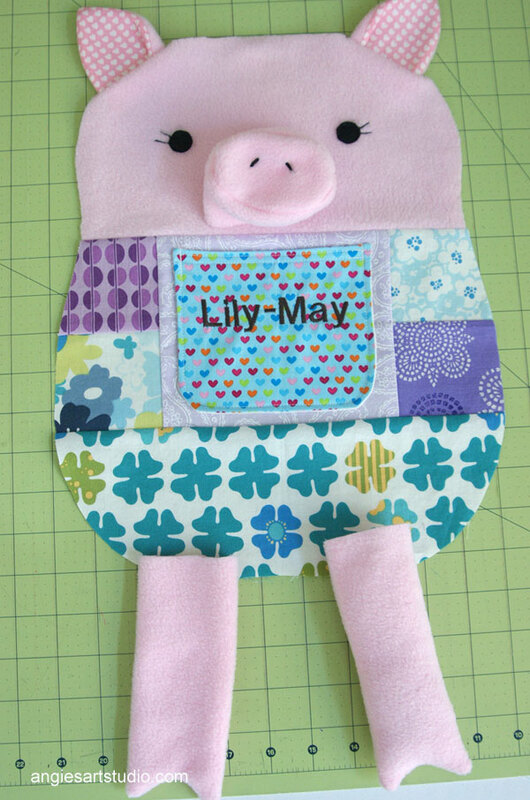 Very happy with how this patchwork fairy pig has turned out! Even my husband commented on how very cool it turned out and was amazed that I managed to make the snout 3D as when I had explained how I was going to make it, he just had a puzzled look on his face :) Will be sad to see her go, but I know she is going to a loving home. 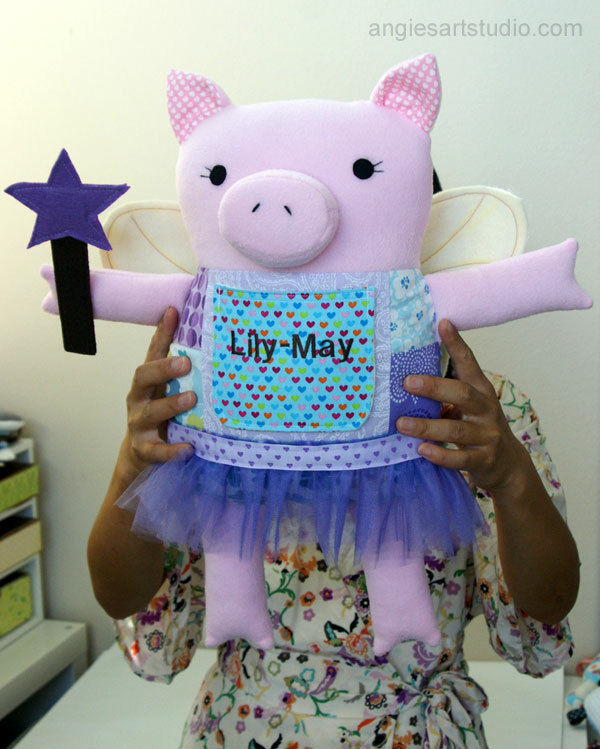 Can’t wait to see pictures of Lily-May with her very own one-of-a-kind Fairy Pig!